New graduates, job seekers, and those discontented with their current jobs - better get ready with your bio-data. Job fairs all over the country will be offering almost 168,000 jobs for skilled and qualified job hunters in 54 venues nationwide on Labor Day, May 1, 2016. 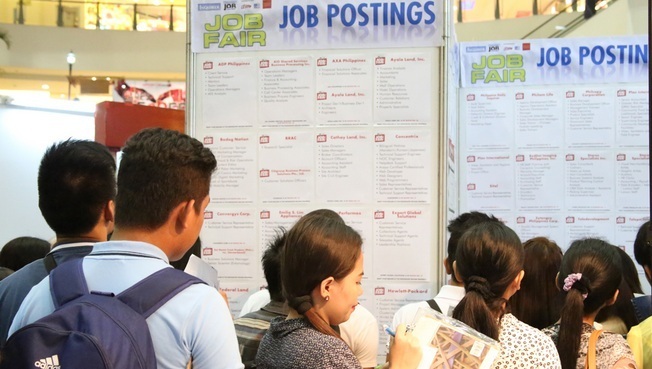 Department of Labor and Employment Secretary (DOLE) Rosalinda Dimapilis-Baldoz said, "As Labor Day approaches, the number of both participating employers and job vacancies are expected to increase, so job seekers of all types nationwide need to prepare to join the 54 job fairs." A total of 1,112 employers have 167,924 job vacancies that are waiting to be filled. About 45 % of these job vacancies are for local employment, while 55% are for overseas. Even the government is seeking 530 would-be employees from the job fairs. Vacancies are most abundant in the following industries: other community, social, personal service activities (21,494 ), construction (9,800), and manufacturing (7,898). The top 5 occupations with the most number of vacancies for local employment include the following: factory/production workers (5,851); production operators (4,940); call center agents (2,492); welders (2,008); and customer service/ support representatives (1,633). For overseas employment, the top 5 occupations with the most number of vacancies are: professional nurses (2,640); hotel and restaurant service workers (2,315); laborers (1,043); waiters/waitresses (831); and technicians (electronics, hull, telecom, auto, and physiotherapy) with 793 vacancies. Simultaneous with the job fairs, DOLE will also conduct career fairs to assist the youth and students in making career decisions.